During cutting of low rigidity workpieces, avoiding elastic deformation due to machining forces is important. In multi-axis cutting of jet engine blades, tool posture is typically determined by trial and error based on the computer-aided machining operator’s experience. In this study, we developed a system of quantitative evaluation of machining error for blade surface finishing process by estimating the cutting force at each cutting point of the blade with different relative tool postures, and analyzing the deformation at each point with a finite element analysis. With the system, we become be able to perform simulations to evaluate tool posture with less shape error, maintaining the machining efficiency. K. Ichikawa, H. Saito, J. Kaneko, Y. Okuma, and K. Horio, “Estimation Method of Machining Error on Low Rigidity Workpiece for Tool Posture Planning,” Int. J. Automation Technol., Vol.11, No.6, pp. 964-970, 2017. X. Yuan, T. Yazawa, H. Ito, T. Otsubo, Y. Maeda, and R. Yamada, “High-Efficency Milling of SDteam Turbine Blade,” Int.J of Automation Technology, Vol.10, No.6, pp. 993-999, 2016. K. Shirase, T. Inamura, and T. Yasui, “Quantitative Analysis of Factors of Machining Error in End Milling Operation,” J. of the Japan Society for Precision Engineering, Vol.52, No.4, pp. 705-712, 1986 (in Japanese). S. Igari, F. Tanaka, and M.Onosato, “Computer-Aided Operation Planning for an Actual Machine Tool Based on Updatable Machining Database and Database-Oriented Planning Algorithm,” Int. J. of Automation Technology, Vol.6, No.6, pp. 717-723, 2012. X. Yan, K. Shirase, H. Kawabata, M. Hirao, and T. Yasui, “Improving Productivity of Machining Centers Based on NC Program Diagnostic System (1st Report),” J. of the Japan Society for Precision Engineering, Vol.63, No.7, pp. 1044-1048, 1997 (in Japanese). X. Yan, K. Shirase, H. Kawabata, M. Hirao, and T. Yasui, “Improving Productivity of Machining Centers Based on NC Program Diagnostic System (2nd Report),” J. of the Japan Society for Precision Engineering, Vol.64, No.5, pp. 768-772, 1998 (in Japanese). H. Narita, S. Kato, Lian-yi Chen, H. Fujimoto, K. Shirase, and E. Arai, “Trial-Less Machining Using Virtual Machining Simulator for Ball End Milling Operation (1st Report),” Trans. of JSME, Vol.71, No.712, pp. 3622-3629, 2005 (in Japanese). L. Lu, M. Sato, and H. Tanaka, “Experimental Verification of Chatter-Free Ball End Milling Strategy,” Int.J of Automation Technology, Vol.7, No.1, 2013. I. Kono, T. Miyamoto, K. Utsumi, K. Nishikawea, H. Onozuka, J. Hirai, and N. Sugita, “Study on Machining Viblration Suppression with Multiple Tuned Mass Dampers : Vibration Control for Long Fin Machining,” Int. J. of Automation Technology, Vol.11, No.2, 2017. K. Shirase, M. Sano, M. Hirao, and T. Yasui, “Analysis and Suppression of Chatter Vibration in End Milling Operation (1st Report),” J. of the Japan Society for Precision Engineering, Vol.64, No.3, pp. 465-469, 1998 (in Japanese). K. Akazawa and E. Shamoto, “Study on Regenerative Chatter Vibration in Ball End Milling of Flexible Workpieces,” J. of the Japan Society for Precision Engineering, Vol.75, No.8, pp. 984-989, 2009 (in Japanese). K. Kasahara, C. Suzuki, R. Yoshida, and A. Hirota, “Analysis of Workpiece Behavior and Optimization of the Machining Conditions in Milling of a Long Shaft (1st Report),” J. of the Japan Society for Precision Engineering, Vol.79, No.8, pp. 784-789, 2013 (in Japanese). Y. Koike, M. Matsubara, S. Nishiwaki, K. Izui, and I. Yamaji, “Cutting Process Design for Minimizing Workpiece Displacement at Cutting Point,” J. of the Japan Society for Precision Engineering, Vol.76, No.12, pp. 1406-1410, 2010 (in Japanese). J. Wang, S. Ibaraki, A. Matsubara, K. Shida, and T. Yamada, “FEM-Based Simulation for Workpiece Deformation in Thin-Wall Milling,” Int. J of Automation Technology, Vol.9, No.2, pp. 122-128, 2015. K. Enomoto, M. Takei, and Y. kakinuma, “Real- Time Cutting Force/Torque Prediction During Turning,” Int. J. of Automation Technology, Vol.6, No.5, pp. 669-674, 2012. J. Kaneko, “Prediction Method for Cutting Force in Endmilling Process,” J. of the Japan Society for Precision Engineering, Vol.83, No.2, pp. 199-203, 2017 (in Japanese). J. Kaneko, K. Teramoto, M. Onosato, and Y. Takeuchi, “Cutting Force Prediction in End Milling with Small Depth of Cut in Consideration of Cutting Situation Change,” J. of the Japan Society for Precision Engineering, Vol.69, No.11, pp. 1605-1609, 2003 (in Japanese). S. Takata and Y. Yamasaki, “Model-Based Cutting Simulation System for Prediction of Cutting States,” Trans. of JSME, Vol.61, No.581, pp. 266-272, 1995 (in Japanese). T. Senba, K. Sakuma, and Y. Hozumi, “Quantitative Evaluation of Cutting Resistance in the Finishing Process of End Milling,” Trans. of JSME, Vol.58, No.547, pp. 938-944, 1992 (in Japanese). 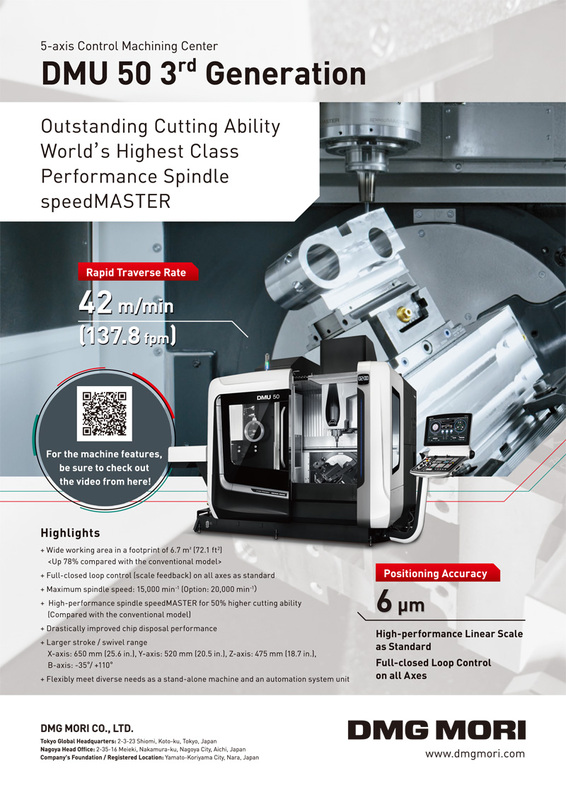 J. Kaneko and K. Horio, “Fast Cutter Workpiece Engagement Estimation Method for Prediction of Instantaneous Cutting Force in Continuous Multi-Axis Controlled Machining,” Int. J. of Automation Technology, Vol.7, No.4, pp. 391-400, 2013. A. Minami, “Optimization of Five Axis Milling Condition in Machining,” Kagoshima Prefectural Institute of Industrial Technology Research Report, No.18, pp. 45-50, 2004.